The “Polo on the Prairie” event hosted on August 9th was able to raise $1107 for its hosts – Paws & Think and Every Dog Counts Rescue. The event featured not only a polo match at Indiana’s only polo field, Hickory Hall Polo Club, but also a silent auction, dog adoption and half-time “doggy pageant” contest. 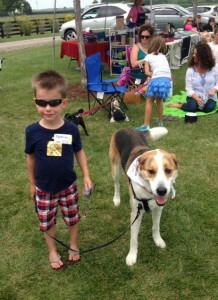 Thanks to all who attended and participated, and to Every Dog Counts Rescue for co-hosting the event!